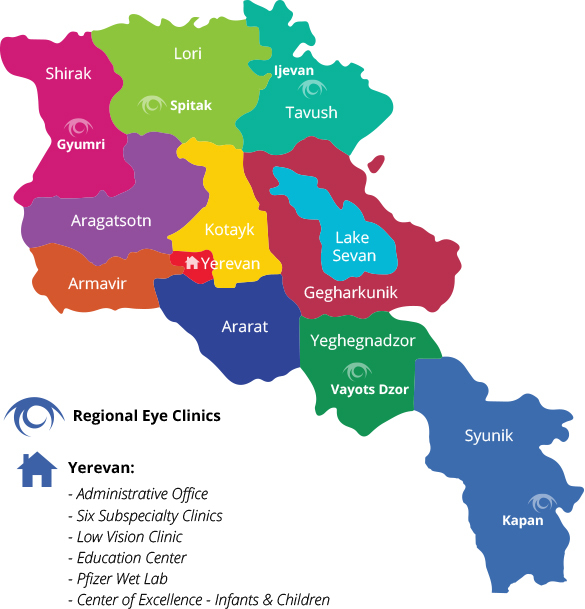 The Armenian EyeCare Project is committed to protecting your personal information. Our online donation site uses Secured Sockets Layer (SSL) software, the current industry standard for secure commerce transactions. SSL encrypts all of your information so that no one can read it as the information is transmitted over the Internet. To support this technology, you need an SSL-capable browser, such as Microsoft Internet Explorer 4.01 or higher, or Netscape Navigator 4.06 or higher. The information you provide during the online donation process will be used by the Armenian EyeCare Project for the sole purpose of correctly processing, crediting and acknowledging your gift. We maintain a donor database, which is on a secure server owned by the EyeCare Project. All of the information contained in our donor database is used exclusively by the EyeCare Project for Project-related business only. Names and information about our donors is strictly confidential. We want to assure you that any names or personal information we receive will not be sold or shared in any manner with any person, organization or company.